Wrongful Death Lawyer Flora, IL. Your family is hurting. A member of your family has died, and now you need help but aren’t sure what to do, or how to get justice for your lost loved one. Burger Law is a personal injury law firm in Flora that aggressively pursues wrongful death claims for Flora families that have been hurt by the reckless actions of individuals. We will fight to protect your loved one’s memory is protected, and fight hard to hold those responsible for your loved one’s death accountable for their reckless actions. We can and will help you. Wrongful Death claims are never easy. No one should ever lose a loved one because of an accident that is caused by another’s negligence. Someone acted negligently, and dangerously, and they should be held fully accountable for their actions. We will fight for your family’s rights and make sure that those who caused your loved one’s death are punished to the maximum extent of the law. 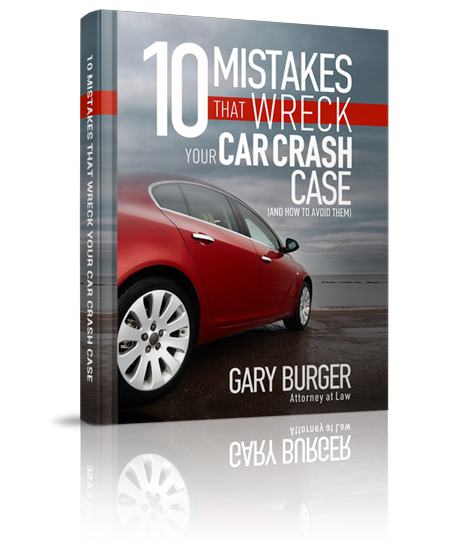 Gary Burger and Burger Law are a team of wrongful death lawyers who understand how devastating it can be to lose a family member, and fight hard for Flora families who are affected by these tragedies. We will make sure that those who caused your loved one’s death are held fully accountable for their actions, and that your family gets the recovery and compensation that it deserves. We don’t charge any fees unless we win your family’s claim. Call us at your earliest convenience at 1-314-542-2222, or use this form HERE. Wrongful Death Lawsuit gives families a means to seek reparations against those who have caused the passing of a loved one. These types of lawsuits give families legal recourse to hold an individual or business accountable for the death of a loved one. So what does this mean? Your family member, had they lived, would have had a legal precedent to sue for injuries, and the responsible party would have been legally required to pay for the damages they caused. These laws give you and your family the right to seek suit against those who caused the wrongful death of your loved one. It is important to collect all evidence regarding the claim as quickly as possible. Our Lawyers in Flora know how to get evidence from the defendants, how to depose the defendant, and how to ensure that those responsible for the death of your loved one are fully punished to the maximum extent of the law. If you need help with a wrongful death claim, please call us at 1-314-542-2222, or use this form HERE. We can help your family get the justice, compensation, and recovery it deserves. Medical Malpractice Wrongful Death Claim – In this case, we were able to prove that the general medical practice that saw our client acted negligently in regards to the symptoms he was experiencing and that they acted negligently by not administering the proper tests to determine a diagnoses. Nursing Home Negligence Wrongful Death Claim – Sometimes a person will pass years after an accident. Had the accident not happened, the additional complications would have never arrisen. In this case, we pursued the nursing home that caused the injuries to our client that later caused her to develop further illnesses that lead to her death. This is a short list of a few of the things you can recover. We understand that your loved one’s passing is difficult. Your family is entitled to a recovery, and we are going to fight for the full rights and recovery you are woed. When you’re ready to talk, we can help. Call or Contact our Wrongful Death Lawyers in Flora. State laws designate who can pursue a wrongful death claim. This will differ from state to state, but is typically uniform across the US. If you have any questions regarding who can file a wrongful death suit, what your family stands to recover, or how a Wrongful Death Lawyer in Flora can help your claim, please call our Personal Injury Law Firm at 1-314-542-2222, or fill out this contact form HERE.